Probably the worst thing about getting older is that you lose more of your friends. On Friday we lost one of the nicest people and best ballplayers that I have ever known. Jeff Case was a good friend and teammate. He started playing senior softball with our INDY FOG team and has been playing with Blue Chips for many years. He helped me through the loss of Coachie, and I consider it a privilege to be his friend. My prayers go out to his wife, family, and friends. We gained an angel to watch over us. Our #4 shortstop will be missed here on Earth. Dave, that used to be true, but I keep getting older, and younger players are always turning 50. Thanks for that, you know that I know the rain doesn't show up when you are here. Now if we can just get neck10 and coop3636 to join the party. BH44, I look forward to seeing you. Coachie was a lot older than me, but he loved senior softball which got me into it very young. I soon learned to love it too. The crew is awesome at Midwest Sports Complex, rain or shine. STL10, well, we have had more years without rain than with, but you are right that we do get it sometimes. I have even seen it snow in May before but only once at the ball fields and not during the tournament. This is the Midwest after all. At least it is not like the year that we went to Pensacola years ago, and they had to redo the bracket because a hurricane took away some diamonds. I am just really excited that this will be the 20th anniversary of the Brickyard Invitational in Indy. Those of you that know me understand that it is very personal to me as my Coachie wanted a senior softball tournament in our city. He went to Rick Seifman with the idea, and they worked with Tim Fishburn to make it happen. To me it is a legacy that he left for those of us as his beneficiaries. Thanks to all of you that make it happen every year. LeeM, from his profile 40+ from McKinney, Texas. MBIndiana, the guys suggested to me that you might want to join their Facebook site Central IN Senior Softball Competitive Thursday night League to learn more about teams. Let me know if you have any trouble finding it. southerinman, the guys suggested to me that you might want to join their Facebook site Central IN Senior Softball Competitive Thursday night League to learn more about teams. Let me know if you have any trouble finding it. southerinman, yes, I know them well. I am proud to say that I got a couple of the guys that you mentioned into senior softball quite a few years ago. I would have to double check, but I think that the competitive and recreational leagues are planning on playing as they did last year. The competitive plays on Thursday nights at Midwest, and the recreational plays on Tuesday at Chuck Klein; both are on the northwest side of Indy. The leagues play in the earlier time slots at the parks. I have given the contact information to the office to update, but that has not happened yet. You are free to call me, or I can send you the information if you want because the leagues are run by different people. As far as your personal rating information that you mentioned, I would call the office (after the TOC completes) and verify if what you think is a true reflection of what you are eligible to play. 60s is interesting down here as some teams will probably be old enough to play that in a couple of years, but we do have a gap between 55 and 65 teams. Is LaF Lafayette? The older guys down here do batting practice at Chuck Klein some mornings. I would have to check to see which ones. southerinman, there are some fine Indiana teams in that age group. What I might suggest since you are in Kokomo is to think about getting involved in the Indy senior leagues. There are definitely people involved in the one that is at Midwest (where the Brickyard is played) that could be helpful in getting you on a team. You are welcome to contact me if you want some more information as the Leagues page has not been updated with our most current information yet. Bighead5, so far in Indiana, we have only had one team play as a 40 team in competition at the Brickyard, one of the two senior SSUSA/ISA tournaments in the state. They are a 50 team from Kentucky now. There is only one legitimate 40 team in our area from Michigan. We are very interested in growing the 40 program in our area though. We have been working with Tim McElroy as he is doing very well promoting the 40 program in what I would call the Mid-Atlantic area. I will ask him what he might recommend for you. Do you currently play for a 40 team or looking for one? Thanks. Ho, thanks. I did understand that. When I looked at 2018, the 75 team was Chicago Gray Sox. So I was actually having a little fun with Gary. I have had the privilege of knowing him and the team for a very long time. It is tough over 65 to find a lot of tournaments in the Midwest. I will look through the SSUSA list and see if there are any others that would meet that criteria. Gary, if you put northern in on a search, tournaments will list first. I am guessing that you were referring to the Northern Championship in Lansing. Only one 75 team was listed for 2018. You might know them. ;-) If you need any help, feel free to call me. Tg69, what level of play are you looking for? Coop3636, thanks, Coach. That is a good recommendation. Did he play AAA for or against you? Discussion: Base runner tagging up on a bobbled fly ball to the outfield. mad dog, you are correct. Whether the ball is fair or foul is not relevant. Discussion: 65+ any NY teams looking for players?? yankeeFAN, I would probably send him an E-mail at the address that he gave as he might not be monitoring the message board. Good luck. It is fun to play with kids your own age. I know that we talked about this a few other times. 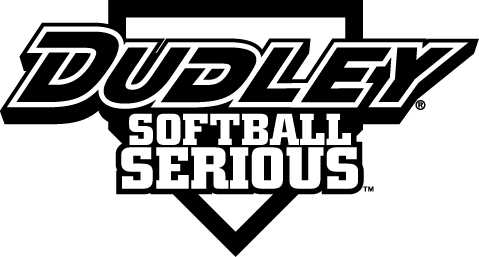 It just won't work on some devices; so enter https://seniorsoftball.com/?page=7, and you will see the rules page. I a message out to a couple of coaches. Are you moving back soon? MBIndiana, we have a couple of teams in Indiana that might work for you. Just so you know, there are also some leagues in Columbus and Shelbyville where you might also meet people. Do you have a thought on what level of team you are looking for?